It’s Time for a Puzzle – Can YOU Spot the Taxman? Nobody has found our taxman yet in under a minute and a half, can you do any better? We’d be lying if we said we didn’t enjoy a good puzzle here at GoSimpleTax. And one day, an office conversation prompted us to act on the idea of creating our very own. We’re big fans of the ‘Where’s Wally’ type puzzles wherein you have to locate someone – or something – in amongst a busy and confusing scenario. So we had a go at making one ourselves. Would you like to have a go? Here’s our very own GoSimpleTax puzzle, can YOU Spot the taxman? Our puzzle, topically named ‘spot the taxman’ challenges you to do exactly that. We wanted to step away from the traditional ‘Where’s Wally’ style, to make something a little more suited to us and – well, in our opinion all the more difficult. The similar styles of the individuals walking around find spotting the taxman much harder than you might have originally thought. In amongst a busy street with busting people, we do promise he’s in there somewhere. But, if you’re struggling to find him amidst the similarly dressed, and similarly looking people, then we’ll give you a clue. What’s the taxman most likely to be holding? His tax return forms of course. 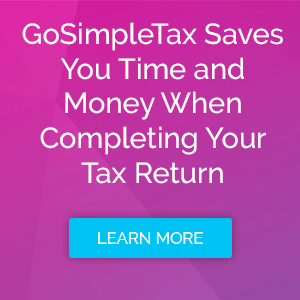 Those very tax return forms, that GoSimpleTax can help you to submit by the way. Self-assessments are often dreaded, but they don’t have to be as perplexing as this puzzle. Our software makes it quick and easy to submit yours, whatever your circumstance might be. Have you managed to find the Taxman yet? Did you find him after the clues, or perhaps you even found him without them? Nobody has found our taxman yet in under a minute and a half, did you fair any better? Be sure to let us know on Facebook. He’s stuck in the puzzle at the moment, but he won’t be for long. The UK tax return deadline on the 31st January, 2019 is drawing ever closer. And with almost 750,000 people missing it last year and facing steep fines, you’re going to want to make sure you’re well prepared. Keep the taxman in the puzzle and not on your doorstep and take a look at our GoSimpleTax software today.